Q: I am unable to get any ink to print, why? 1. 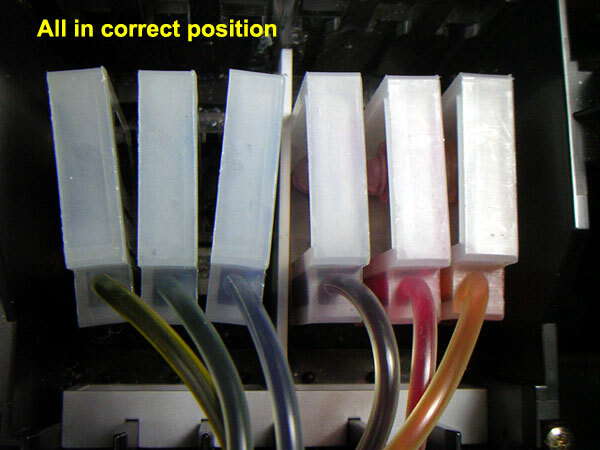 Make sure all the cablings can allow ink flowing smoothly inside tubes from ink bottles to dampers. Adjust routing a little bit if needed. 2. Please make sure if you have 2 "Through Holes" on top of ink bottle's cap. You can remove the seal (foam) from the bottle top to fully expose the second air hole. 3. Please check if you have released all the clips/ink stoppers. 4. 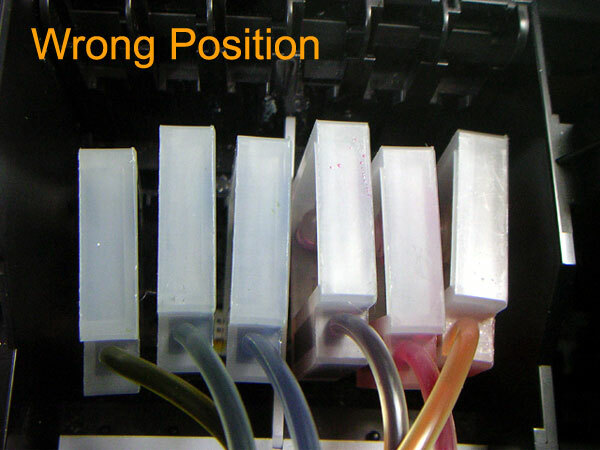 Ideally, maintaining the same surface level of printer and ink bottle can get the best performance. However, you may need to adjust (lift up and lower down) the ink bottles a little bit to get the correct pressure. If above steps still cannot solve your problem, you are still unable to get the ink to print. Please contact us for more information.